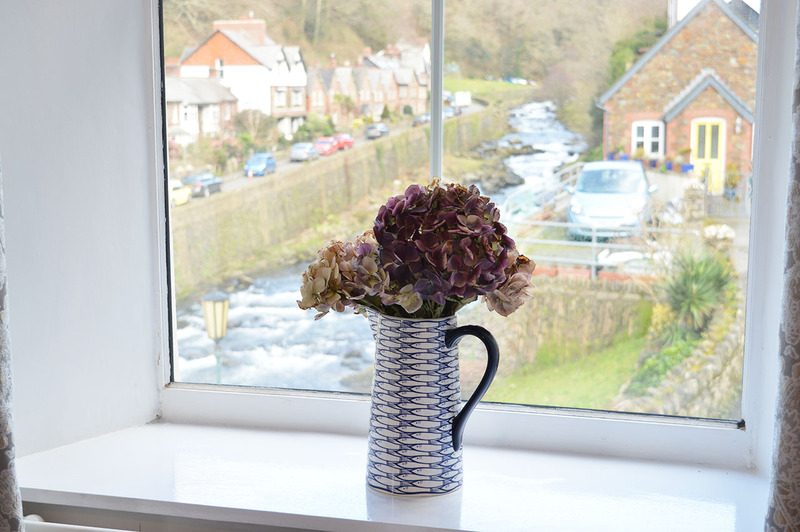 Bedroom One is a first floor, double en-suite bedroom with a dual aspect view up the East Lyn river valley and out over the river and down towards the sea. 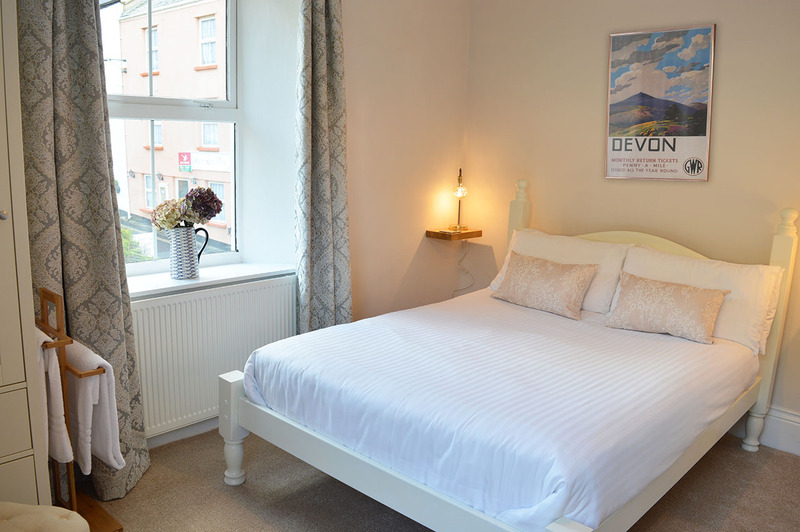 It has a traditional wooden bedstead with soft linen, pillows and cushions, slimline wardrobe, luxurious blackout curtains and comfortable slipper chairs. 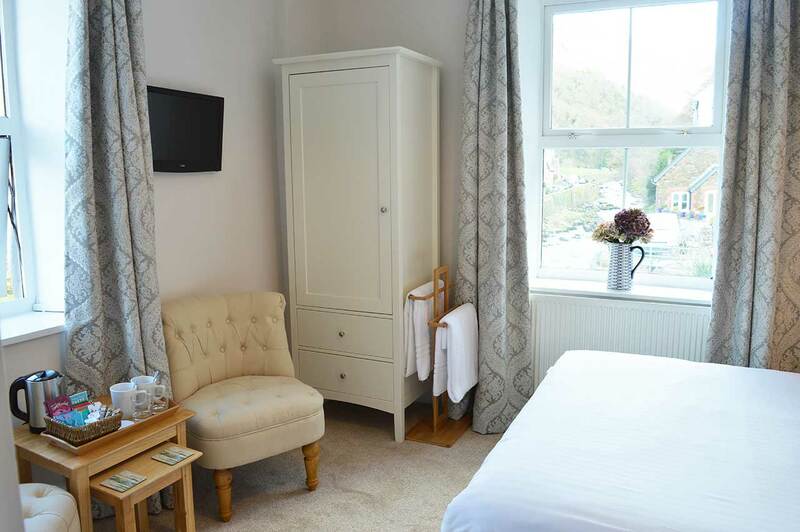 This bedroom is newly decorated in beautiful neutral colours and with low windows, offering an excellent vantage point to enjoy watching the dippers and listen to the sounds of the river. The en-suite comprises of a shower room with wash hand basin, mirror and large fluffy bath towels. Within the bedroom there is also a separate en-suite toilet room. Revitalise and restore yourself each morning with our Crabtree and Evelyn ‘La Source’ hand soap, shampoo, conditioner and body wash.